Location is a major factor for anyone buying a home, and to this end we focus on areas that offer a unique lifestyle choice, be it inner city convenience or waterfront luxury. Our in-house team of architects and designers are constantly striving to produce innovative and functional buildings that reflect the lifestyle and environment that is unique to this part of the world. Our aim is to give our customers not just an apartment, but a home that they can be proud of, and excited to come home to. As one of North Queensland's largest property developers and construction companies we specialise in building quality apartments and executive homes that combine modern design trends with classic tropical style. Anyone who inspects the great display apartment at Trinity Cove is impressed. Fairfield Waters is an award-winning master planned community. It is an extremely desirable area to enjoy landscaped parkland reserves and a network of walkways along the Ross River and the extensive Fairfield Waters lake systems. 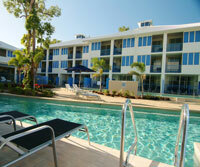 It's also the setting for Nexus, a complex of modern 2 bedroom apartments just 5kms from the Townsville CBD. A place where land has been set aside for landscaped parkland reserves with a network of picturesque walkways along the Ross River and along the Fairfield Waters extensive lake systems, cycle paths and playgrounds. That place is Promenade on Fairfield. An exclusive lifestyle awaits you. Perfectly positioned on both the edge of Cairns city and on the edge of prestigious Edge Hill. 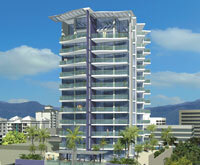 Citi Edge does offer its residents the best of all worlds. Award winning, best value Port Douglas resort style apartments set amongst magnificent lagoon pools and lushly landscaped gardens. A variety of stunning swimout and 2 bedroom + study apartment designs available.